Petplan Pet Insurance was originally founded in the UK in 1976. Petplan North America, based in Philadelphia, was launched in 2003. Petplan is underwritten by AGCS Marine Insurance Co. and is rated A+ by BBB. Petplan offers comprehensive accident and illness coverage for cats and dogs. Petplan is consistently recognized as a top-rated pet insurance company among vets, respected breeders, and customers. Petplan’s comprehensive coverage is one of the few providers that includes the veterinary exam fee (non-routine). Their customer service is available 24/7. They offer a lot of flexibility in their packages so you can customize it to fit your specific needs. If you have an older dog or cat, they are one of the few policies that does not have an upper age limit! Petplan has an overall customer satisfaction rating of 97% and is consistently ranked among the top pet insurance companies. Petplan offers extremely comprehensive coverage and is truly among the top in the industry. They handle all accidents and new illnesses without restrictions for hereditary or congenital conditions, as well as medications, advanced testing, hospital stays, rehabilitative care, and holistic therapies. Also, all non-routine veterinary exam fees are covered in all plans, including emergency hospitals and specialists making it unique compared to other providers. Petplan has the most comprehensive coverage of dental injury and treatment of periodontal disease. There is full coverage for dental diseases and injuries which are included as standard in the policy you choose. Petplan is great for older pets as they insure pets of any age, with no policy exclusions for hereditary and chronic conditions. They are one of the few providers that will cover hip dysplasia in all of their policies. Healthy Paws is excellent but does not cover hip-dysplasia. Petplan also covers curable pre-existing conditions after the 365 day exclusionary period following the beginning of the policy. The company also covers most bilateral conditions when one side is considered to be pre-existing, which is something many other providers don’t offer. Any imaging including MRI, CAT scan and ultrasound, are covered. Preventative care vaccinations or titer test, flea control, heartworm medication, de-worming, nail trim, and grooming. Any cosmetic procedure including ear cropping and dewclaw removal (don’t do it, please!) unless deemed medically necessary by your vet. Parasite control including but not limited to internal and external parasites for which readily available prophylactic treatments are available. Petplan does not offer an optional wellness plan. Their philosophy is that they want their policy holders to be reimbursed for the big expenses! Wellness issues are generally not very expensive and easily payable out of pocket. Although Petplan doesn’t offer across the board unlimited coverage, it does offer the flexibility in allowing you to choose your annual benefit limit which helps lower the costs. Petplan’s annual limits can be set at $2,500, $5,000, $10,000, $15,000, $20,000, and $25,000 or unlimited. There are no per condition limits or lifetime caps, which guarantees your furry friend’s care will be covered for the duration of an illness or injury, including chronic conditions like diabetes, allergies, cancer or dry eyes. If you talk to your veterinarian and do some research of the conditions your dog or cat might encounter, you could easily set an annual limit that works for you and your dog or cat. Petplan is unique in that it offers one of the most customizable deductible policy options in the market. It lets you choose whether to apply the deductible annually or per condition. You can also choose your deductible, starting from as low as $100 up to $2,500. The deductible can be increased in $50 increments. If you decide to choose the per-condition plan, this means that if your pet has two veterinary visits for the same condition within the policy year, you will pay the deductible for your policy only once for this condition even if you file three claims for the same condition. This can be helpful for a dog or cat that has cancer or a serious injury or illness. Petplan operates on an annual deductible, which is ideal as you will only have to meet the one deductible regardless of accidents or illness. If you choose the higher deductible, you will have a lower monthly premium. For example, if you choose the 80% reimbursement model, you will pay 20% of your total bill after your deductible is reached. Petplan offers competitive pricing that is in line with comparable plans. Petplan also offers discounts if you registration online, as well military personnel or medical service pets. Price is subject to breed, where you live and the plan you decide to enroll in. You can get a 5% discount just for enrolling online. Petplan offers annual, quarterly or monthly payment plans. You can save money if you pay your annual policy in full. With monthly and quarterly payment plans, there is a payment processing fee. Through Wag-worthy, veterinary professionals get a 10% professional discount when enrolling online (5% veterinary professional discount + 5% online discount). This discount can be used by all licensed veterinarians, veterinary technicians and other staff members of a veterinary clinics. Petplan is one of the only pet insurance companies to specifically state a claims payout timeframe of 30 days. It can be faster, from 5 to 14 days, if your claim is accepted right away, but 30 days is the longest it would take. Claims are filed easily and quickly either on-line or from the Petplan Claims App which is a fast, easy way to send claims right from your smartphone. All you have to do is log in, click “File a New Claim” and complete the required information. Once you upload photos of your invoice and medical records, you’re done! You can also just print out and sign the personalized claim form, and either fax, email, or mail it with the receipts and invoices within 90 days of treatment. Petplan also features the “Telehealth” service. This facility provides coverage for telephone consultations for an immediate lifesaving emergency. Petplan allows enrollment for dogs and cats as young as six weeks. What’s really great about Petplan is that it doesn’t not have an upper age limit so older dogs and cats get covered as well. Accident coverage begins 5 days after enrollment, but there is a 15 day waiting period for illnesses. Medical records are not required for enrollment. Based on your pet’s medical history, records may be requested if your pet is taking medication, recently injured or you are re-enrolling your pet with Petplan policy after there has been a break in coverage. There is a (6) month exclusion on cruciate ligaments and patella conditions and typical of most plans. As is standard in the industry, there is a 30-day waiting period on Petplan policies before accidents and illnesses can be considered coverable. The waiting period will not apply to any renewal of this policy if continuous coverage is maintained. If your pet has not been examined by a veterinarian within sixty (60) days prior to the effective date of the policy, you are required to have your pet examined at your own expense within thirty (30) days of the effective date of this policy. Similar to other pet insurance providers, Petplan requires that your insured dog or cat be seen by your veterinarian annually to make sure they stay healthy. And probably a very good idea anyway! Petplan’s policy will renew automatically at the end of your annual policy term and you will be automatically charged on your renewal date. Your renewal date and policy term will stay the same. Petplanthopy, their corporate philanthropy, makes quarterly financial contributions to their partner shelters, rescues and humane societies across the country. For every policy sold, Petplan makes a generous donation to the Best Friends Animal Society® Save Them All® campaign to help adoptable pets find their forever homes. And for every Petplan-protected furry member that crosses the Rainbow Bridge, Petplan donates $15 to Morris Animal Foundation in their memory. We love that! Make sure to go to their site, Petplan and get a quote to see if they are the right pet insurance company for you and your dog or cat. Have your questions prepared and their customer service representative should be able to find the best plan to suit your needs. You can also call them at: 1-800-241-8141. 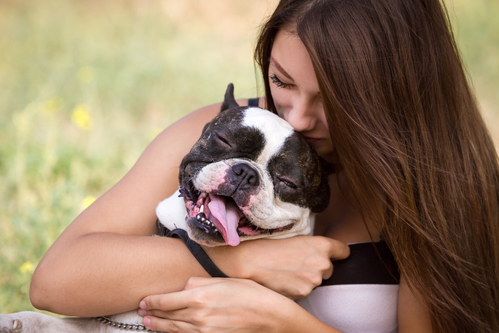 Take a look at our pet insurance guide to learn more about pet insurance policies!